It is about Install Laravel. Laravel is a free, open-source PHP web framework, created by Taylor Otwell and intended for the development of web applications following the model–view–controller (MVC) architectural pattern. In this article, we are going to demonstrate how to up and run Laravel 5.x on Ubuntu 16.04 LTS, 15.04 LTS, 14.04 LTS, 12.04 LTS. A Host System(Mac, Linux, Windows) with LAMP server. You need few utility tools to proceed further if you are using a minimal version of Ubuntu server otherwise you can ignore the step 2. Composer is required for installing Laravel dependencies. In order to download and install composer use below commands. Clone and download the latest version of Laravel. Use below command to clone master repo of laravel from GitHub. After completing clone and download move on laravel directory and use composer to install all dependencies required for Laravel framework. Try to avoid root user for run Composer because Certain Composer commands, including exec, install, and update allow third party code to execute on your system. This is from its “plugins” and “scripts” features. Plugins and scripts have full access to the user account which runs Composer. For this reason, it is strongly advised to avoid running Composer as super-user/root. After install all dependencies, change ownership of your web dir Laravel under www directory and change following permission. Make sure that your present working directory is laravel (/var/www/laravel). Before generating Key. Copy or rename the .env.example file to .env file otherwise, you will get an error while generating the key. Now generate a 32 bit long random number encryption key, which used by the Illuminate encrypted service. Application key [base64:5zcSAFWQ+379F/TZsxxVmJMeO2R19b1FTi2aD280/Yo=] set successfully. Now add a Virtual Host in your Apache configuration file to access Laravel framework from a web browser. Create Apache configuration file under /etc/apache2/sites-available/ directory and add below content. Now enable the virtual host and reload apache service. using below command. 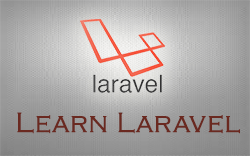 Now you have completed the installation of Laravel 5.x successfully. To access your site follow the one more step. We assume that you are on a test server so, to access Laravel make host file entry to access your Laravel application in the web browser. Change 127.0.0.1 with your server ip and laravel.example.com with your domain name configured in Apache to your accessing system. if you are in Linux or Mac then follow the path /etc/hosts and if you are accessing through windows system then follow the C:/Windows/System32/drivers/etc/hosts and insert the following line. And access http://laravel.example.com in your favourite web browser as below. Now build your awesome app using Laravel. Enter your website name when it asking for FQDN name for example (mylaravelapp.com). After that when it will be prompted for MySQL root password. Then you have to enter a password whichever you want to set. For your information, the following script sets your web directory at /home/<your site>/public_html/laravel. Nothing else enjoy Laravel. This entry was posted in How To, Laravel and tagged Framework, Laravel, PHP, Ubuntu. Bookmark the permalink.